The suit alleged that the Borough violated the newspaper’s rights of free speech and press guaranteed by the First Amendment. The suit arose in 2018 when the Borough refused to place advertisements for publication with the paper because the Borough disagreed with the paper’s reporting and editorials. The Borough stated that it might resume a commercial relationship if the newspaper’s reporting changed. U.S. District Court Chief Judge Christopher C. Conner entered a consent decree on March 25, 2019 requiring the Borough to follow published neutral criteria. The Borough also agreed to pay the paper’s legal fees for the matter. Mette, Evans & Woodside attorneys Aaron D. Martin, Michael D. Reed and Veronica L. Boyer represented Press & Journal in the suit. Mette, Evans & Woodside announces the settlement of a client’s lawsuit against York County, Pennsylvania, alleging violations of the client’s rights under the First Amendment. The suit was filed in U.S. District Court in Harrisburg. The firm’s client desired to conduct a public demonstration in front of the York County Courthouse, but was threatened by York County with criminal prosecution if he would not first comply with an onerous and outdated ordinance. Among other things, the ordinance required disclosure of the client’s “affiliation with any organization or identifiable group” as a condition of applying for a permit to demonstrate on property owned by York County. The ordinance also conditioned approval of a permit upon criteria including any “reasonable expectation of provocative messages.” The firm’s client intended to protest racism. After filing suit, the county retreated from its threats of criminal prosecution, allowed the client to protest without complying with the challenged ordinance, and ultimately paid $30,000 in settlement of the case. Attorneys Aaron D. Martin, Veronica L. Boyer and Jacob H. Kiessling represented the firm’s client in this action. Mette, Evans & Woodside maintains an active practice protecting the constitutional rights of private citizens and entities. 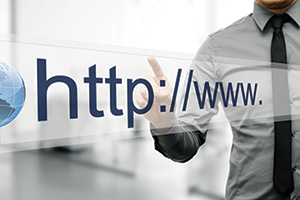 Will Your Business Be a Victim of Cybersquatting? Cybersquatting occurs when a business unrelated to yours improperly uses your business name or mark to market itself online to your detriment. It often takes the form of the registration of a domain name that is confusingly similar to yours. The Anticybersquatting Consumer Protection Act provides powerful remedies for the bad faith misappropriation of domain names. Remedies can include an injunction to stop the offending action, damages and attorney’s fees. Other laws protect against other forms of online deceptive and confusing advertising. When cybersquatting occurs, aggressive legal action to stop the practice can help protect a company’s online presence. Experienced legal counsel in this area can help restore a level online playing field and allow a company’s honest online marketing efforts to succeed. https://www.mette.com/wp-content/uploads/2015/12/Will-Your-Business-Be-a-Victim-of-Cybersquatting.jpg 310 700 ME&W https://www.mette.com/wp-content/uploads/2018/12/MetteLogo_white-1.svg ME&W2015-12-18 01:09:552019-02-21 03:30:41Will Your Business Be a Victim of Cybersquatting?